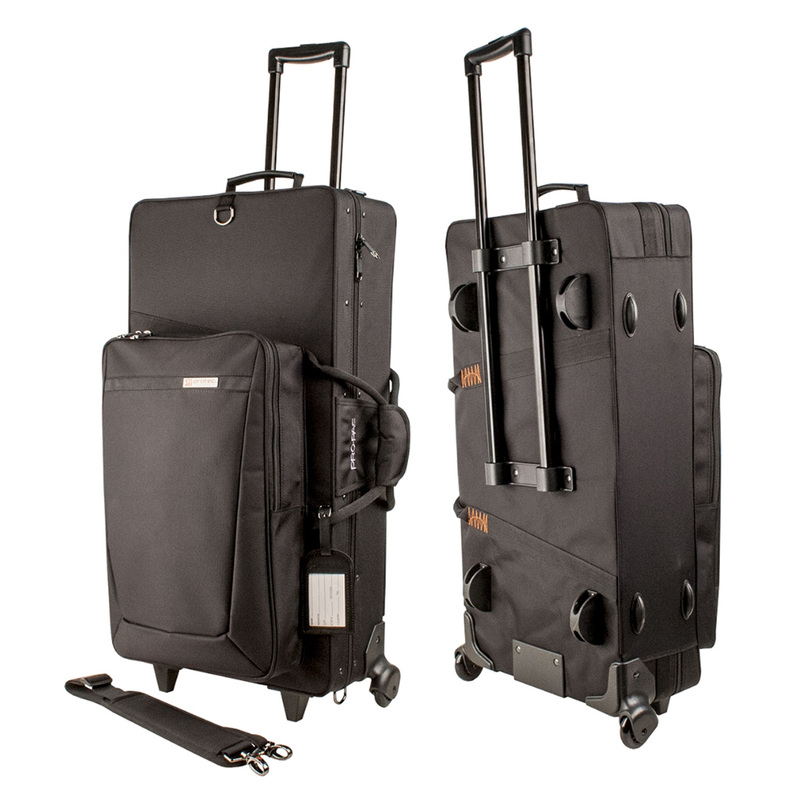 Protec’s Alto and Soprano Saxophone combination PRO PAC Case with wheels is a great solution for the mobile musician. Manufactured with a shock absorbing strong wood frame and weather resistant exterior, both alto and soprano saxophones are protected in separate molded sections and are cradled in soft velvoa lining. There is also plenty of room for your other gear with an interior storage compartment and large gusseted front pocket that can also fit a separate clarinet case, flute case, or music stand.